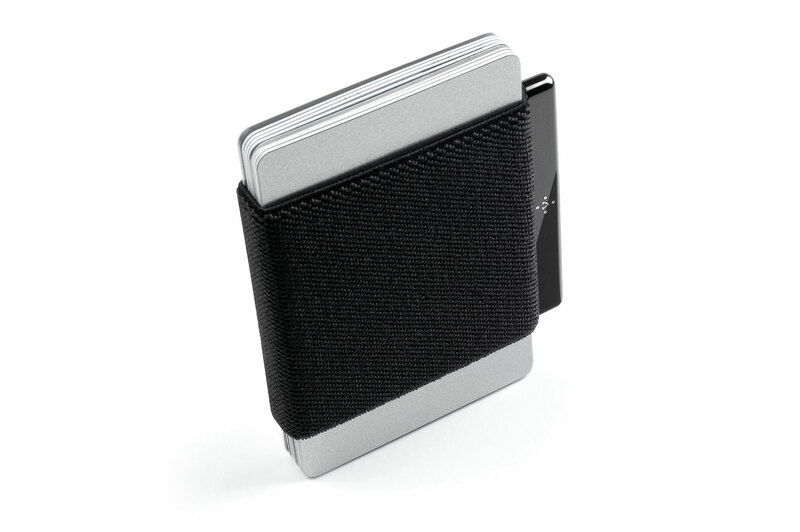 naoLoop is the best and most minimal wallet available. How many cards can I put in? naoLoop can hold up to 15 cards. 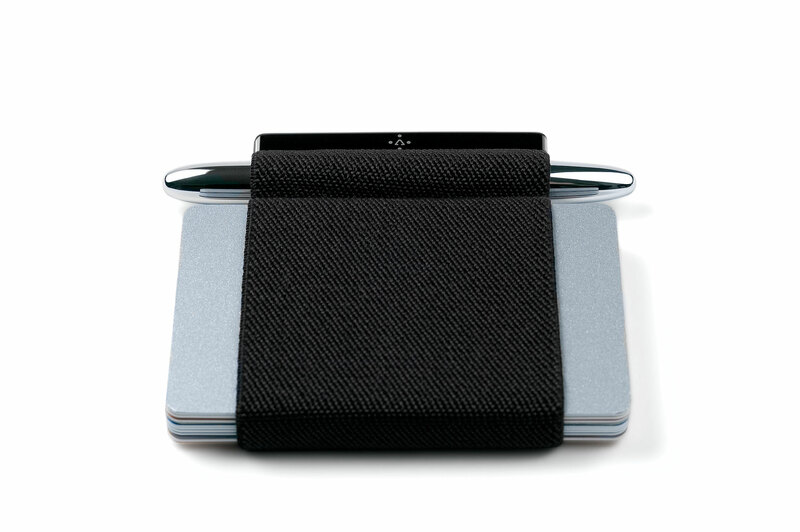 The stretch band is made of Polyester Latex Band and the metal trim is made of aluminum which is anodized & laser etched. Why have I never heard of naoLoop before? Even naoLoop was developed more than 10 years ago, we are still a small company, focusing mainly on internet sales and B2B. With the new shop, it’s improved shopping experience and future activities, you will hear more. Can I have a naoLoop in a different configuration? Which shipping fees do apply? What do others say about naoLoop? Michael from Burbank, United States: Received my naoLoop today. Works great! 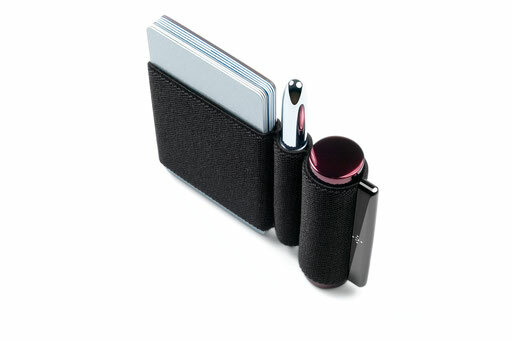 It firmly holds all my cards and the space pen tucks in perfectly. I also really like the packaging. I can't wait to show it off at work tomorrow. Get ready to ship a few more to California! Take care. Austin from Cambridge, United States: I just wanted to let you know that I'm a big fan of naoLoop. I use it as my 'wallet' every day. The elastic material is just stretchy enough, and quite durable. My current Loop has lasted several years and the elastic loop looks like new. I just ordered a naoLoop pen. Fabio from Carbonara, Italy: I use my naoLoop over a year and am very satisfied. I am a bit surprised that the strips have endured so much stress. Katherine from Philadelphia, United States: I love my naoLoop. I actually stumbled across naoLoop when I was doing some research for a school project. I studied graphic design and I was looking for some examples of great packaging for my Package Design class and I found images of the naoLoop shipping package with layers of cardboard online. I happened to be in need of a card holder at the time - I was tired of carrying my full wallet around with me in my backpack and the naoLoop was perfect for holding my school ID, a card or two and some cash. It was perfect to just put in my back pocket so I could easily access it to scan myself in to the school buildings. 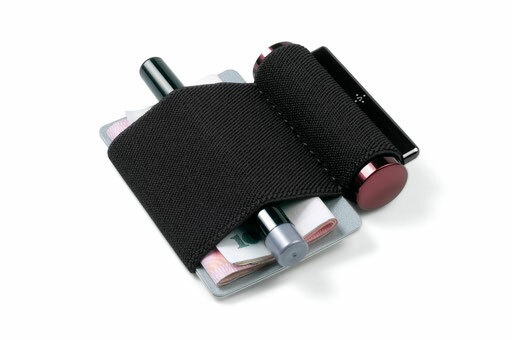 I had a card holder before a couple years ago, but the naoLoop was much better - strong quality elastic, and my cards didn't fly out everywhere when I dropped it (I'm pretty clumsy so I've dropped it quite a bit). I've gotten a lot of compliments on it - it's exactly the sort of product nerdy designers love. William from Woodstock, United States: Wow, talk about great timing. My naoLoop Pen arrived this afternoon! It's fantastic. I loved the idea of carrying a pen with me, as they always come in useful, and this wallet seems to be designed perfectly for my Fisher Space Pen. I have attached a photo just to say thanks for great customer service.